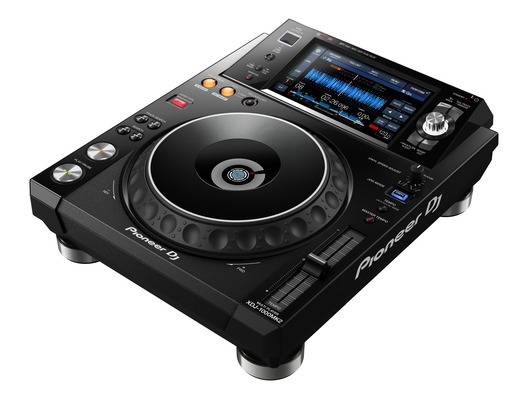 The Pioneer XDJ-1000 MK2 is an upgrade from Pioneer's most popular USB-only, rekordbox-ready multiplayer. The new player inherits even more features from the industry-standard CDJ-2000NXS2, including its 7-inch full-colour high-resolution touch screen, large jog wheels, enhanced track browsing functionality and support for playing high-quality FLAC and ALAC files. The large, full-colour LCD touch screen puts intuitive control at DJs' fingertips. Quickly finding the perfect track to play next is easy thanks to Track Filter, which filters tracks by BPM and key, and the new Matching feature displays suitable tracks you've previously tagged in rekordbox when they're mixed with the track that's currently playing. 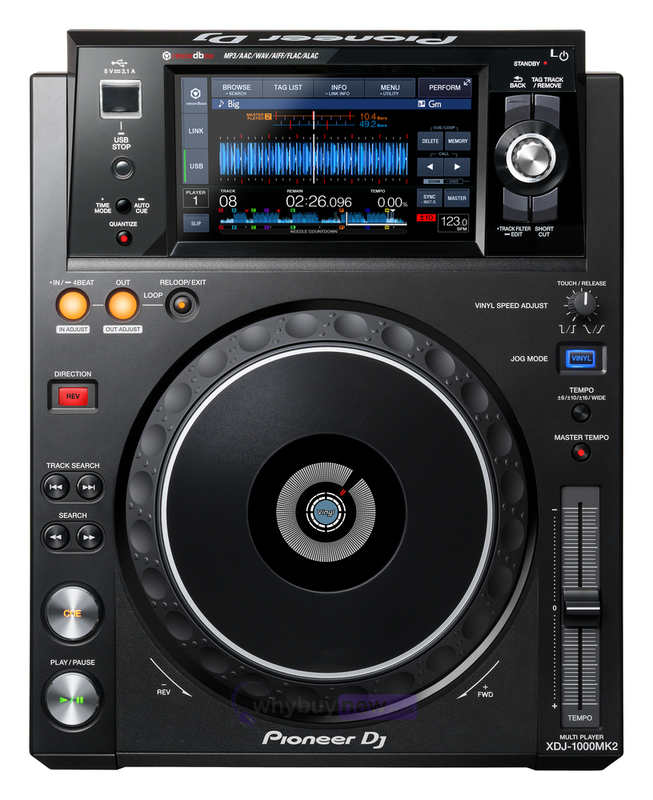 The XDJ-1000MK2 also retains key features from before. You can use the Qwerty touch-screen keyboard to search for keywords, then scroll through results on-screen or with the large rotary dial. You can analyse and prepare your tracks in rekordbox and the screen will display at-a-glance information such as Wave Zoom, Beat Counter, Phase Meter and Key Analysis - as well as provide instant access to your pre-prepared cues, loops and customised rekordbox settings. Plus you can colour-code your USB devices and the illuminated USB port will reflect that colour, so you instantly know what's on each device. 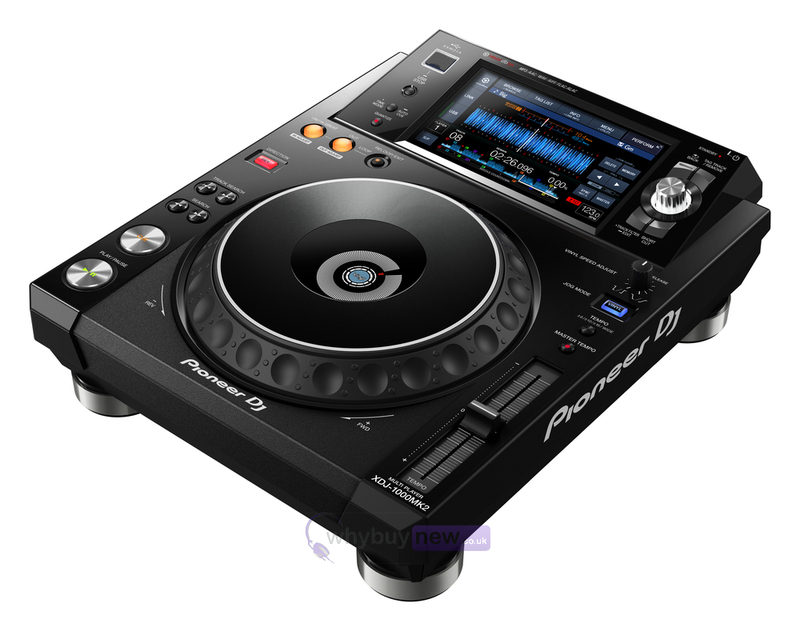 Here we have the Pioneer DJ XDJ-1000 MK2 in brand new condition and in B-Stock. The B-Stock versions would have been on display at a training evening or trade exhibition only and will come boxed 'as new' with all accessories and a 1-year warranty. Quantize: Cue and loop points on tracks that have been beat-analysed in rekordbox will automatically set in time with the track you're playing. You can fine-tune the Quantize value even more accurately for total control. Use rekordbox to manage and prepare your tracks on your PC/Mac, tablet, smartphone or iPhone and use the XDJ-1000MK2's features for creative performances on the fly. Memory Cues: Check comments on Memory Cues that you've preset in rekordbox. My Settings: Prepare your system's setting preferences in rekordbox and instantly switch to your own settings during DJ changeovers in the booth. Playable media: iPhone/iPad/iPod touch, Android phone, etc.